Here is a coin trick that will take a little while for you to master, however once you achieve your mastery it appears as if you can just keep making money. A great trick to win yourself a girlfriend who thinks you have all the money in the world. The entire trick revolves around Palming the coin to give the impression you are pulling the coin from thin air and placing it into a hat, then doing it over again. A difficult trick to master but well worth the challenge. 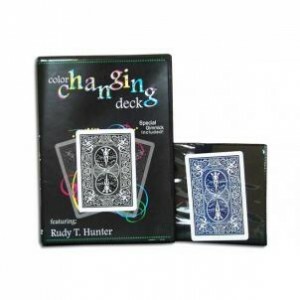 The Ultimate Card Illusion of making a signed card magically appear inside the box. The box measures 2.38 x 1.94 x 1.50 inches (6 x 4.9 x 3.8 cm). Most people associate this trick to the late great Fred Kapps who used a ring box into which a folded duplicate card was glued. This was one of the highlights of his lecture, where he made it clear that the method used had been shown to him by a German magician named Bruno Hennig. Mr. Kapps had shown it to his good friend Scotty York, who had modified the prop to allow a rattle of the card in a box before revealing it. It was Scotty York who later developed some of the best handlings and presentations of his prop. Later variations were put out by Jamy Ian Swiss, Italian magician Bruno Canaldi, and in 1985 an 8 page section by Tommy Wonder in his excellent Books of Wonder vol. 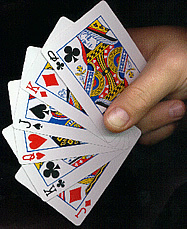 1, as the Card in the Ringbox. 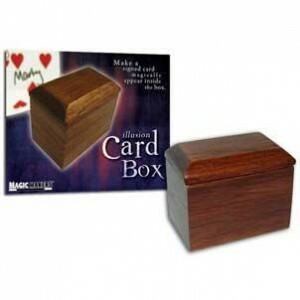 Wild Magic had made a series of these boxes, one for cards, one for money and one for blank billets. Models have appeared from England, France, Germany and various manufacturers here in the states. (6 x 4.9 x 3.8 cm).